Steel 'in Teesside's character' Jump to media player As it is announced SSI's plant on Redcar will be mothballed, a look back at how important the industry has been to Teesside over the years. 'British steel industry is in crisis' Jump to media player Gareth Stace of UK Steel warns the whole British steel industry is in crisis, as SSI UK, which owns the Redcar steelworks, goes into liquidation. 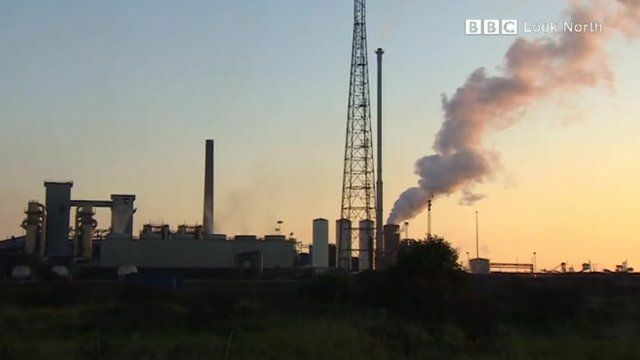 The families affected by steel plant job losses Jump to media player Locals affected by the loss of 1,700 jobs at SSI's Redcar plant have given their reaction to the news. The Shadow Chancellor John McDonnell has been to Teesside to meet some of the 1,700 steelworkers facing redundancy and their Union Representatives. It comes as the Chancellor George Osborne, speaking at the Conservative Party Conference described the mothballing of the Redcar Steel Mill as "tragic" but "inevitable" in the current global climate.